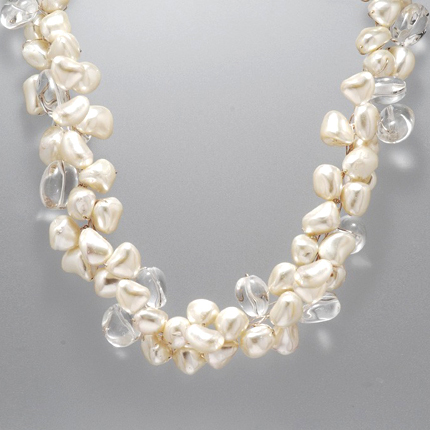 White chunky freshwater pearls and clear quartz crystals combine to create this beauty on fine silver. So right with the right outfit! As with all of our jewelry, gold filled is available. Please inquire for details.